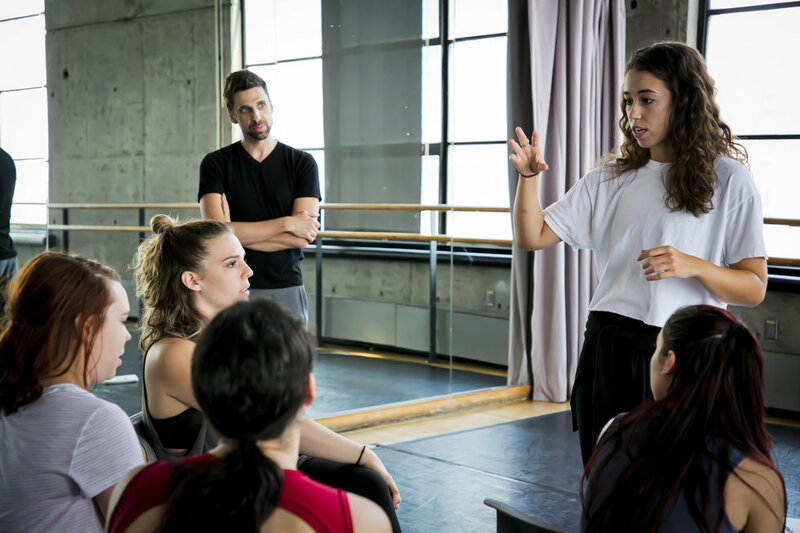 “Go to your choreographers” is the command, and ten 20-somethings sort themselves into two groups at either side of a studio at the Baryshnikov Arts Center in midtown Manhattan. On one side they become three students gossiping in a schoolroom as another enters alone; on the other, it’s a guy sauntering into a club where three women are drinking at a table. But on this summer afternoon, the choreographers are not famous. 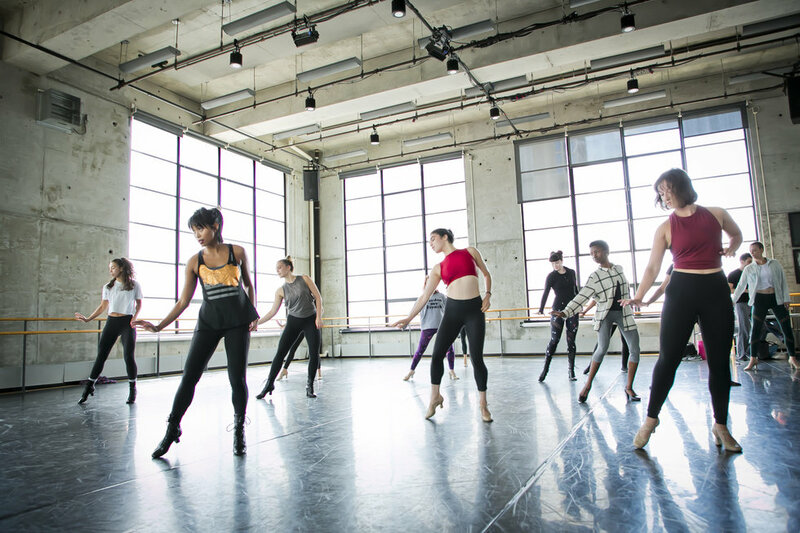 They’ve been chosen for BDL’s first-ever Choreography Intensive and the nine women and one man have paid $1,500 each to spend a week not just honing their choreographic skills, but also discovering what life as a Broadway choreographer is all about. Days begin with dancing, as they do at other intensives. But here, the front of the room might be occupied by Broadway veteran Nancy Lemenager, teaching a number from How to Succeed in Business Without Really Trying; or “So You Think You Can Dance” choreographer Al Blackstone leading a jazz class. Prince designed the program to cover multiple styles and varied approaches to storytelling. “I wanted the choreographers to physically experience different vernaculars,” he says. “I also wanted them to hear from the teachers how the movement was created.” So dance is followed by discussion, students sitting on the floor with notebooks in hand. The notebooks come out again after lunch for a class with a director, casting agent, designer or other professional corralled from Prince’s network. But most of the day is spent working on choreography assignments. For Russo and Acebo, the mission is to tell a story in dance about someone who finds a penny that changes their luck. And tomorrow, when Prince says, “Go to your choreographers,” they will become the dancers as two of today’s performers, Brianna Melroy, 23, and Sadé Murray, 21, stage a theater song (“You’re Gonna Love Tomorrow,” from Follies) for non-dancers. There are also field trips. At the New York Public Library for the #Performing Arts, Tony winner Christopher Gattelli discusses the ins and outs of choreographing revivals, with sketches from the original productions of My Fair Lady and South Pacific arrayed on the table. Before seeing Pretty Woman and touring backstage, students meet another Tony winner, director-choreographer Jerry Mitchell.